Automated Management and Delivery of your BusinessObjects Content – Because life is too short to struggle. InfoBurst Publish makes it easy to schedule, burst, publish and deliver your WebI and Crystal Reports content when, where and how you want it. 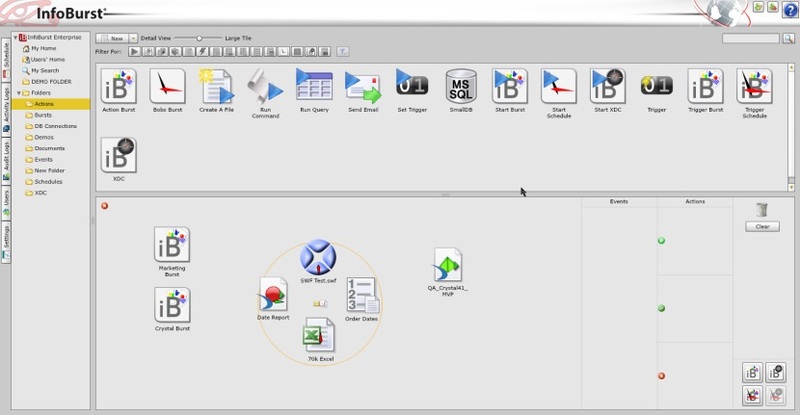 InfoBurst’s intuitive interface makes object management easy. Drag-and-drop and delivery templates make burst building a snap. Schedule using date/time, events, and macros. Suppress delivery of empty reports. Customize file names, email subjects, email messages, and more. Deliver reports in a variety of user-personalized formats (see tech info below). Combine content from multiple reports into a single PDF or Excel file. Can support excel files with greater than 65k rows. Single-Pass bursting is fast and efficient. 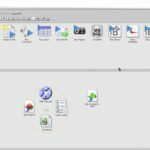 The drag and drop workflow makes it easy to learn and use. Refresh a report just once, then single-pass burst to personalize report content by recipient. Business Intelligence reports can be published in a variety of formats for delivery. Excel: Includes post-processing functions to augment Excel formatting. 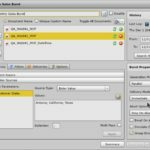 Supports .xlsx format for publishing reports that exceed 65K rows. 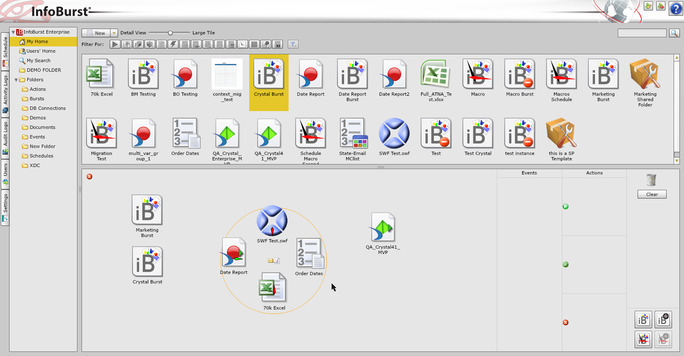 Publish only select Web Intelligence or Desktop Intelligence report tabs in a single PDF, Excel or HTML file. Group content from multiple reports of varying types (Web Intelligence, Crystal, etc.) into a single PDF or Excel file. 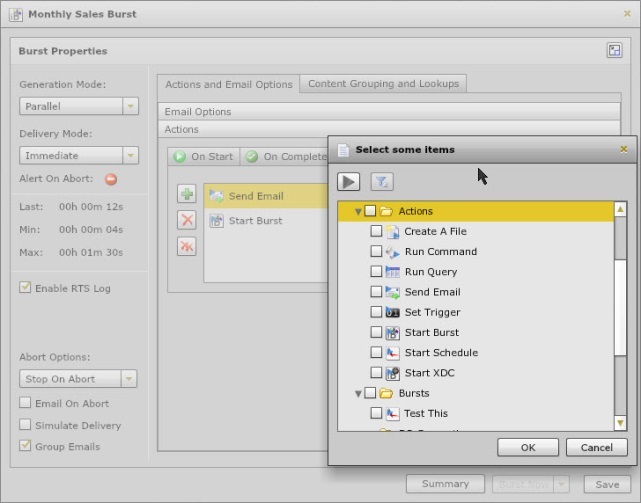 Group content by burst, bursting parameter value(s) or email recipient. Compress and deliver files resulting from published reports. ZIP files can be encrypted using standard or AES encryption. Encrypt PDF and Excel files natively. Define global passwords or deliver files with user-customized password. 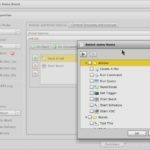 Customize file and folder names with information like bursting parameter values and formatted date stamps. 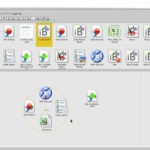 A wide variety of system macros are available for file and folder name customization. 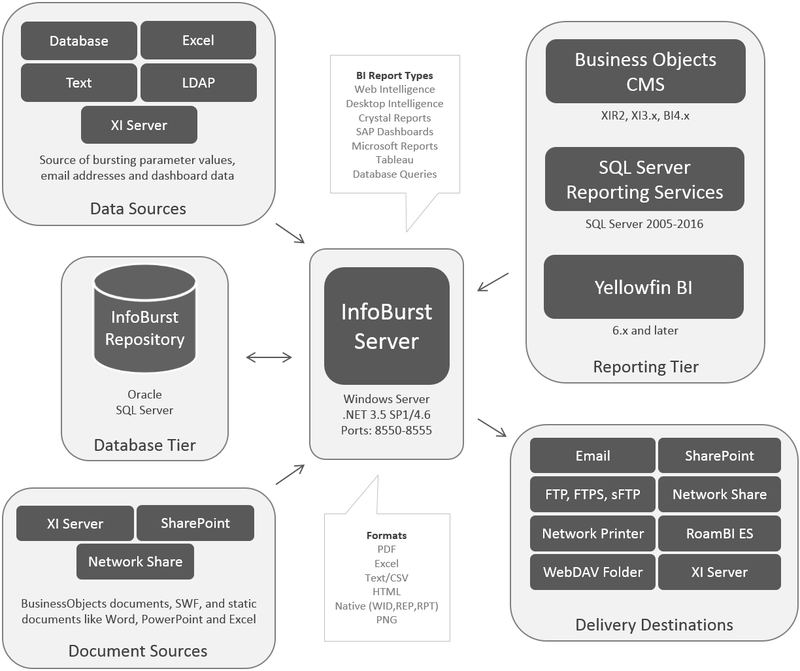 InfoBurst can deliver report content and dashboards to a variety of destinations. Define publication format and delivery destination options in a template for re-use and easy burst management. Deliver content as reports are processed or deliver only when all report processing has completed successfully. Test complex report processing and publication scenarios without delivery actual content. Suppress the delivery of a report when the report contains no data. Notify users via email in the event of an empty report.